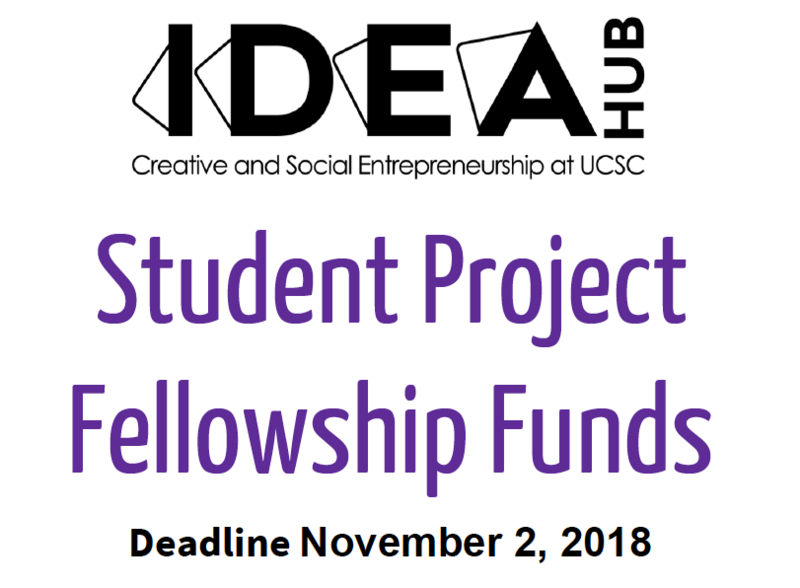 The IDEA Hub encourages students from all divisions to apply and seeks to accept projects strongly committed to social and creative entrepreneurship. IDEA Hub will give priority to proof-of-concept projects with a clear path to business sustainability. 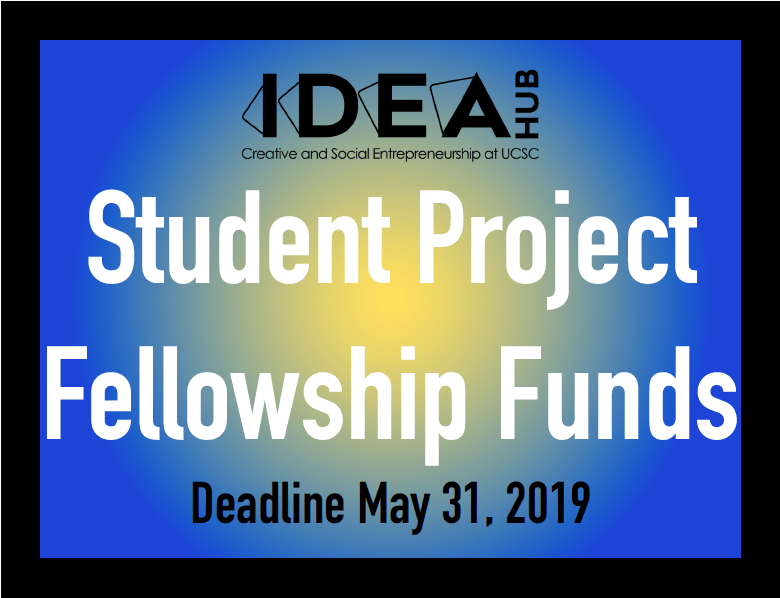 The deadline for submitting your IDEA Hub proposal is November 3, 2017, by 11:59:59 p.m. PST. The current funding cycle is closed. Stay tuned for future calls. There’s still time to apply for the annual Westly Prize for Young Innovators of California … but the clock is ticking! 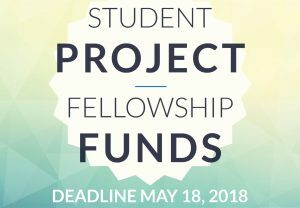 The Westly Foundation awards four $30,000 prizes to social change-makers under age 28 who attend school or have a permanent home in California. They’re looking for young people with novel solutions to community challenges who have prototyped their ideas and have plans to grow. They’re open to all forms of organization and any issue, so long as the innovator is making the world a better place. Apply by October 15, 2017, by clicking here! Applications must be submitted by 11:59 p.m. PDT on October 15, 2017. The Westly Foundation has already started reviewing applications, so if you—or a young innovator in your network—want to stand out from the crowd and avoid the rush, apply today! 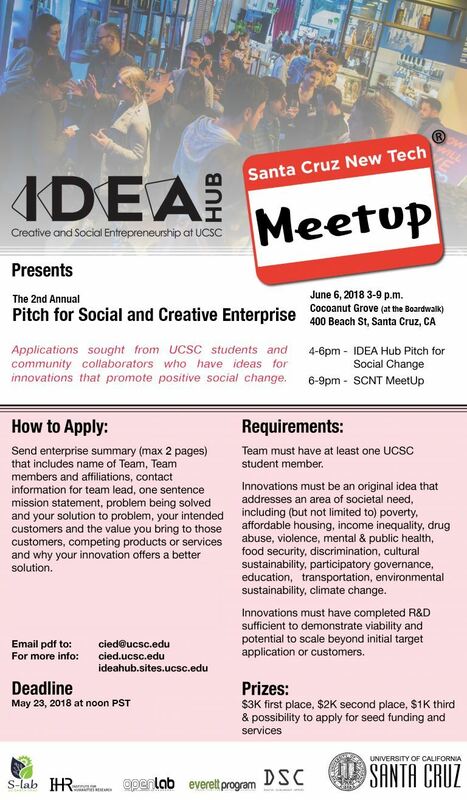 Learn more here and please spread the word to other young social entrepreneurs and innovators! Want to form an IDEA Hub team and gain access to IDEA Hub’s incubation facilities? 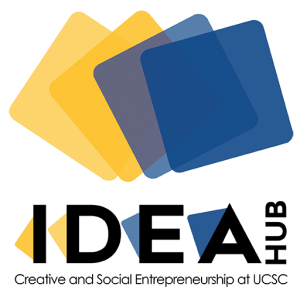 Want to submit a community-project idea to IDEA Hub for its fellows to consider tackling? 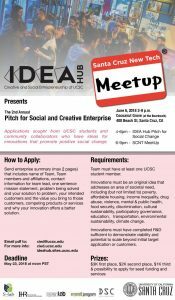 Want to mentor an IDEA Hub team? Want to tour the IDEA Hub OpenLab at UCSC’s Digital Arts and New Media Center? 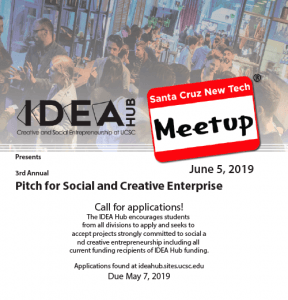 Just want to learn what the IDEA Hub is all about? 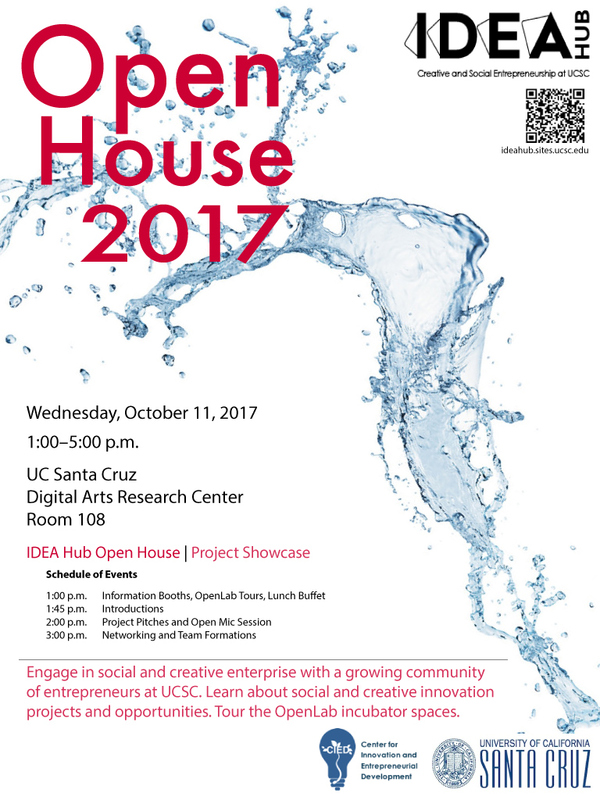 Come to the IDEA Hub Fall Open House on October 11, 2017, any time from 1 to 5 p.m., at UCSC’s Digital Arts Research Center (DARC), Dark Lab (Room 108). Refreshments are provided, and it’s free and open to the public. 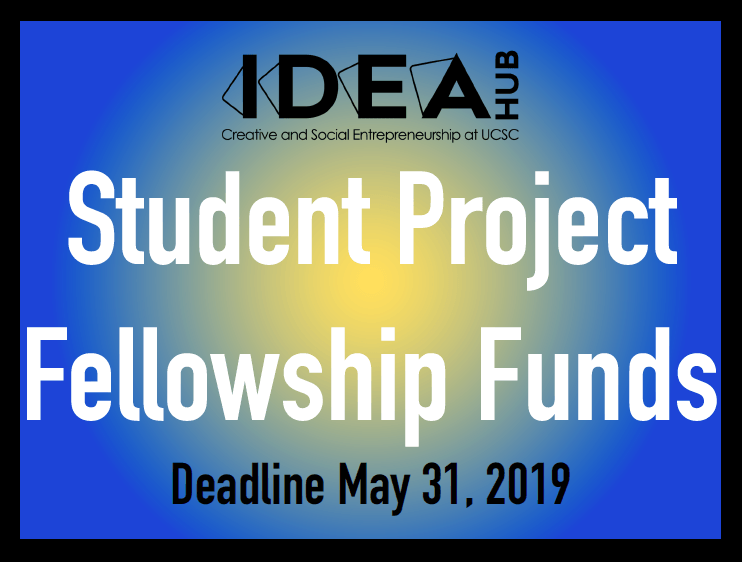 Apply now for financial support to help move your project past the proof of concept stage and seed your enterprise ideas. Graduate students can apply for a quarter length Graduate fellowship (including tuition and fees for Fall, Winter or Spring). Undergraduates and graduating seniors can apply for a 3-6-month fellowship. Use one quarter to move your project past the proof of concept stage and seed your enterprise idea.